This week I’m headed to New York City to present a retrospective of Larry Janiak’s work at Anthology Film Archives (so E-X-C-I-T-E-D). Just in case, Anthology Film Archives is an archive and exhibitor of independent, experimental & avant-garde cinema…and in our opinion, the perfect place to present Larry’s films. 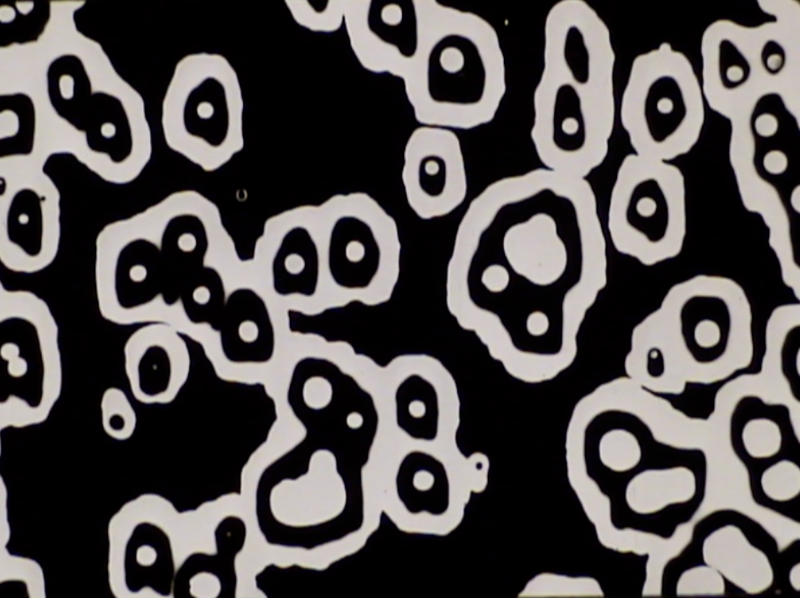 Larry created a stunning body of experimental work from the years 1960 to 1970 that mixes direct animation techniques and personal fragments of the everyday. His work is exciting, vibrant and vastly under acknowledged. Crazy enough, this screening at Anthology is the first time Larry’s entire filmography has been publicly presented…ever. It will also be the premiere of three newly restored Janiak titles, which were photochemically preserved thanks to a 2014 grant from the National Film Preservation Foundation and to the hard work of Colorlab. All films will be presented in their native format (16mm) in chronological order. Larry is a Chicagoan through and through. He grew up on Chicago’s southwest and northwest sides, attended Lane Technical High School, studied with Aaron Siskind & Harry Callahan at Chicago’s Institute of Design and worked for Chicago-based design firm, Goldsholl Design & Film Associates. Larry also taught animation and filmmaking for many years at the Institute of Design (his tenure at the university is succinctly captured in a video documentary that Larry and his friends made in 1999, which you can stream here) and worked as a freelance graphic designer. Outside of school and work life, Larry made experimental films, worked on DIY publications and helped cultivate Chicago’s underground film community in the ’60s and ’70s. From 1967 to 1969 Larry and his friend, Robert Stiegler, set up a film and photography workshop in a large loft space in Chicago’s Lakeview neighborhood. The two’s workshop became a production facility for filmmakers in the Chicago area and host of numerous informal film screenings and discussions from local and visiting artists. Some of the filmmakers and artists who visited or participated in film screenings at the space included Mike Kuchar, David Katzive, Jon Jost, Red Grooms, Ron Nameth, Kurt Heyl, Peter Kuttner, Peter Kubelka, Strom de Hirsch, Jonas Mekas and the filmmakers of the Chicago Newsreel film group. Larry also played an active role in developing the Center for Cinema Film Co-op, an artist run film Co-op once located at the Museum of Contemporary Art in Chicago. In 1968 Larry was elected to the Co-op’s first board of directors along with Ron Nameth and Tom Palazzolo. The aim of the Co-op was to serve as a focus for independent film and filmmakers in the Midwest and to function as a distribution center for the rental of their films. It represented over 175 independent experimental filmmakers, with over 400 unique films in the Co-op’s distribution collection. The Co-op lasted for ten years and was legally disbanded in 1978. 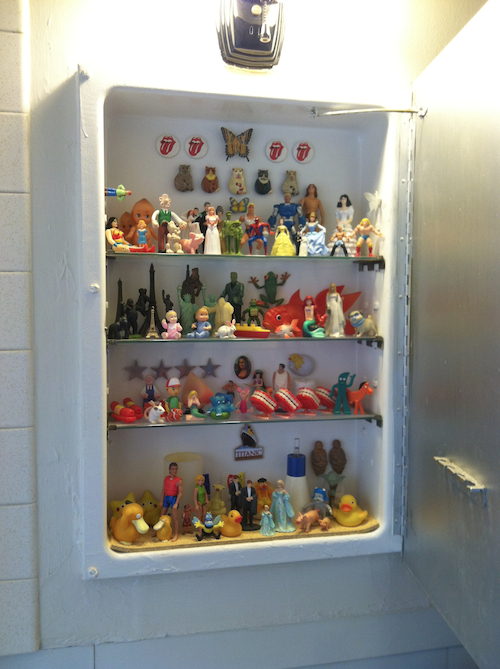 Another crucial and defining element of Larry and his work is his spirituality. Since 1965 Larry has been a member of the Vivekananda Vedanta Society of Chicago, a branch of the Hindu Ramakrishna Order with headquarters at Belur Math in Calcutta, India. From 1983 to 1990 Larry lived at the society’s temple and monastery in Chicago’s Hyde Park neighborhood as a “spiritual resident,” joining a group of American swamis, young brahmacharis and other spiritual residents. During this time Larry gave himself a sabbatical from commercial film production, visual design work and university teaching. Larry still quietly resides in Hyde Park…and although he hasn’t completed a new film in decades, he continues his conceptual art practice today through various mediums, including lively medicine cabinet displays and pen pal exchanges (you can find a more complete bio of Larry over on our Larry Janiak Collection finding aid). We first came to know Larry via the Goldsholl Associates, or more specifically, through our Mort & Millie Goldsholl Collection. 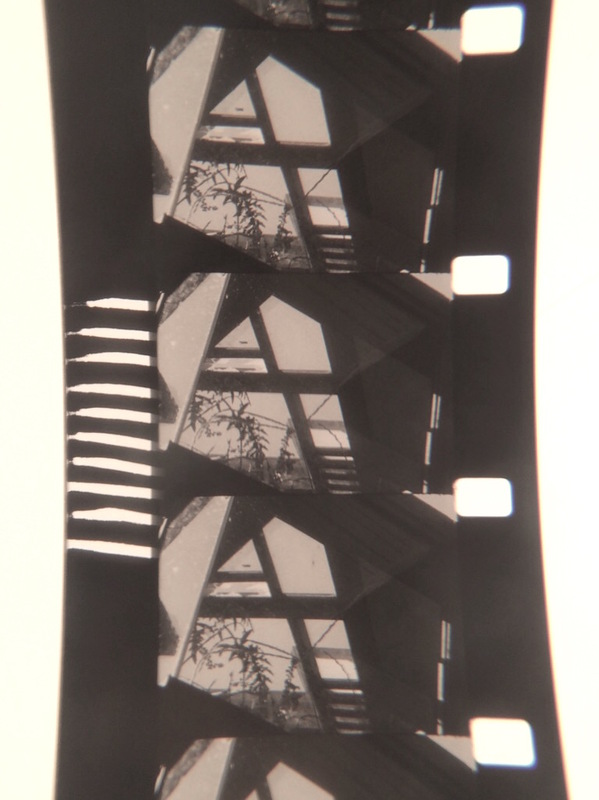 In this collection we found not only industrial films Larry had worked on for the firm, but also a print of one his own experimental films – Disintegration Line #1 (DL1) from 1960. To say the very least, this amazing direct animation film sparked our interest in Larry’s work. We reached out to Larry after re-discovering DL1 and presenting it at our Meet Mort & Millie program back in April of 2013…and to our surprise and delight, Larry donated his collection of films to CFA in two parts, once in April of 2013 and again in October of 2013. His films now all reside safely in our temperature controlled vault. And as mentioned above, three of his films (DL1, Adams Film and DL2) have been preserved back onto film thanks to a grant from the NFPF. Below is the full lineup for next Sunday’s screening in NYC, but before we get into that: infinite thanks to Anthology Film Archives for hosting this long overdue retrospective. And Chicagoans…we haven’t forgotten you! A Janiak heavy screening is headed our way this October (more news soon!). Fun anecdote and/or according to Larry: After Allegro screened at the 1961 International Design Conference at Aspen, Larry, and fellow Chicagoans, Wayne Boyer and Mort & Millie Goldsholl, joined Canadian animator Norman McLaren for ice cream floats (!). Here, McLaren (who worked primarily in 35mm) told Larry that Allegro was the best film he’d seen drawn on 16mm. 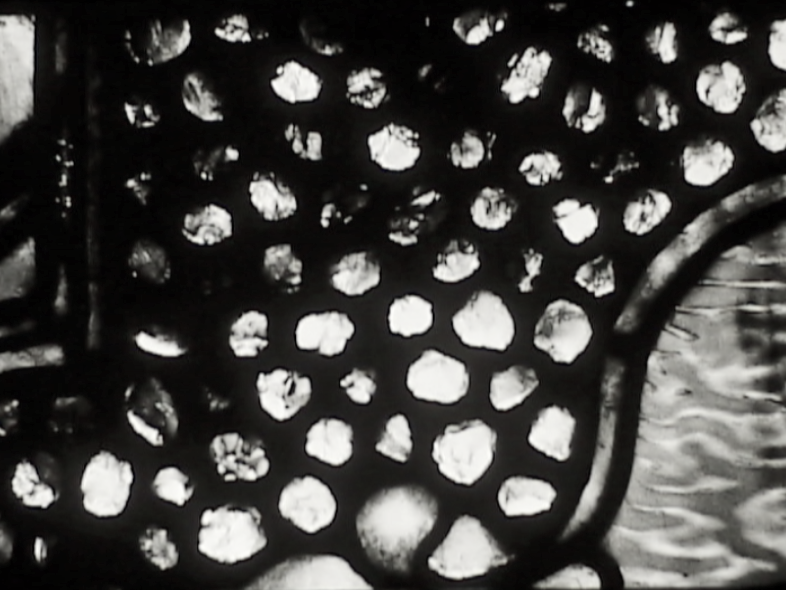 DISINTEGRATION LINE #1 (DL1) 1960, 9 min, 16mm, b&w, silent. Preserved by Chicago Film Archives with support from the National Film Preservation Foundation. Larry made both DL1 and DL2 by applying lithographic tusche on unprocessed 16mm film stock and then shocking 10 foot strips of the stock into tanks of cold water, fixer, hot water, developer and then repeating the process. He then carefully washed the remaining chemical residue off of the strips, hung them up to dry on his mother’s clothes line (!) 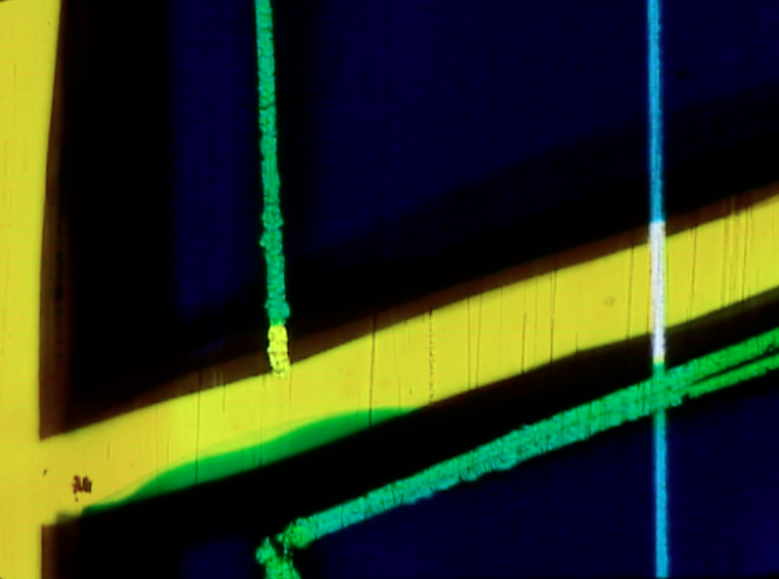 and then arranged them into what he called “interesting sequences.” For DL2, Larry went through an extra step of optically printing the shocked stock through various color gels, carefully labeling each color and repeating them at various speeds. 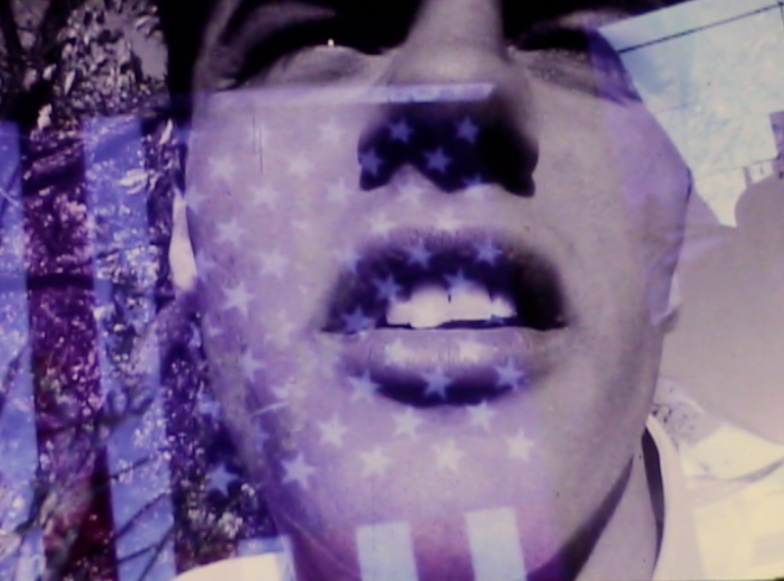 ADAMS FILM 1963, 9 min, 16mm., color, sound. Preserved by Chicago Film Archives with support from the National Film Preservation Foundation. 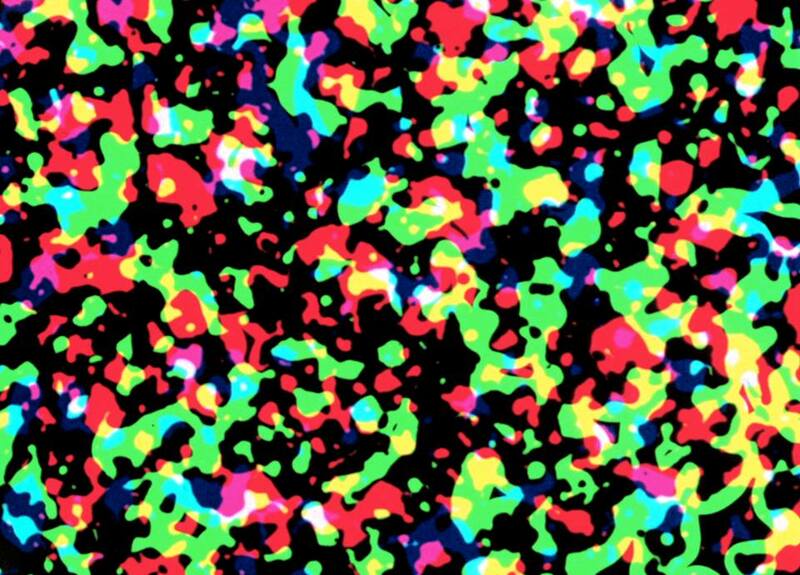 A visual film collage experiment that combines live action footage with abstract images and textures drawn directly on 16mm film. The sound track is made from multiply-recorded tape loops of eclectic sounds, while the live action footage captures scenes from an early Chicago Earth Day parade and a Janiak family gathering. Inspired by musique concrète and the work and writings of John Cage and Gertrude Stein. Fred Camper described the film as “an enigmatic combination of personal family images and dynamic shapes.” Cine-File Chicago‘s Doug McLaren goes further by stating, “Janiak displays an instinctive command of his techniques, an assuredness of process rivaled only by Pat O’Neill.” Larry just humbly refers to the film as a sketch shot on a 16mm camera that he had recently purchased from downtown Chicago’s Central Camera. 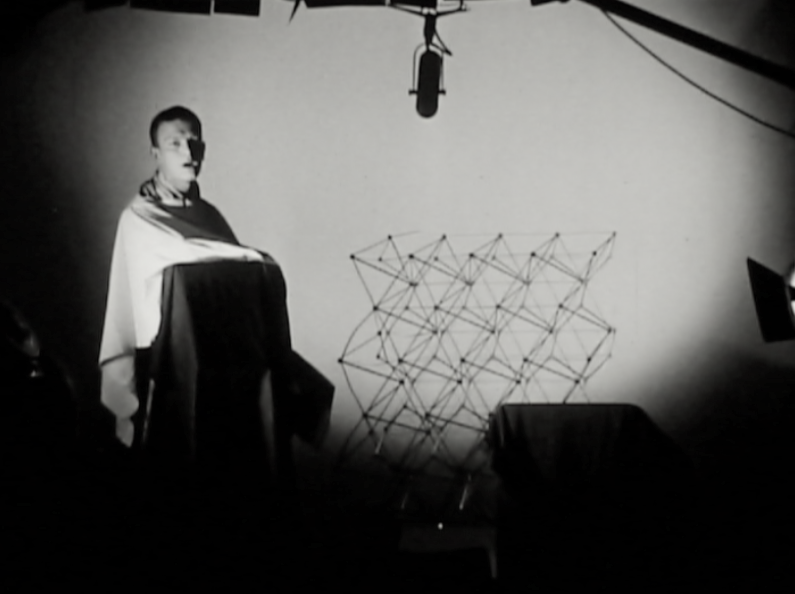 AGAMEMNON IN NEW YORK 1964, 4.5 min, 16mm, b&w, sound. Made in collaboration with Wayne Boyer. What started as a film test on new sync-sound film equipment quickly became a short film documenting the typical nuttiness behind the scenes at Goldsholl Design & Film Associates, a Chicago-based design firm that employed both Janiak and Wayne Boyer. Janiak ad libs alone, as no one else would come out from the behind the camera. 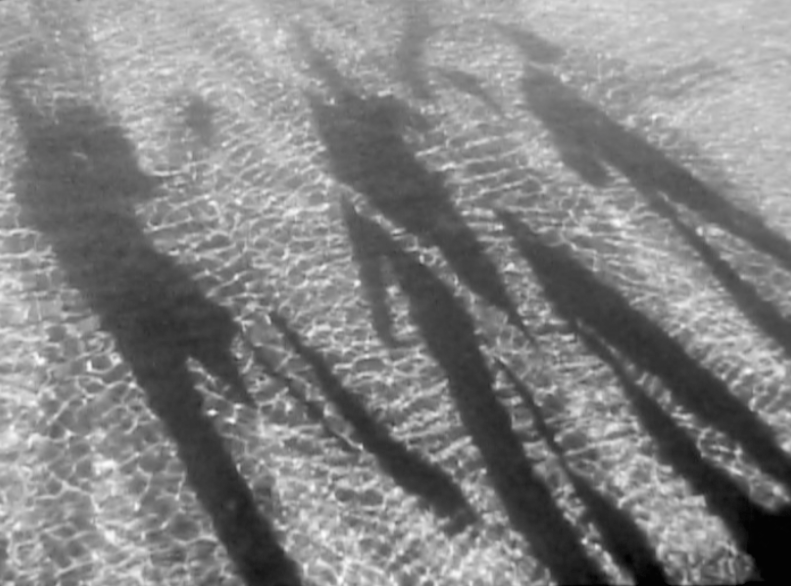 Shot by Wayne Boyer and edited by Janiak, a home movie. 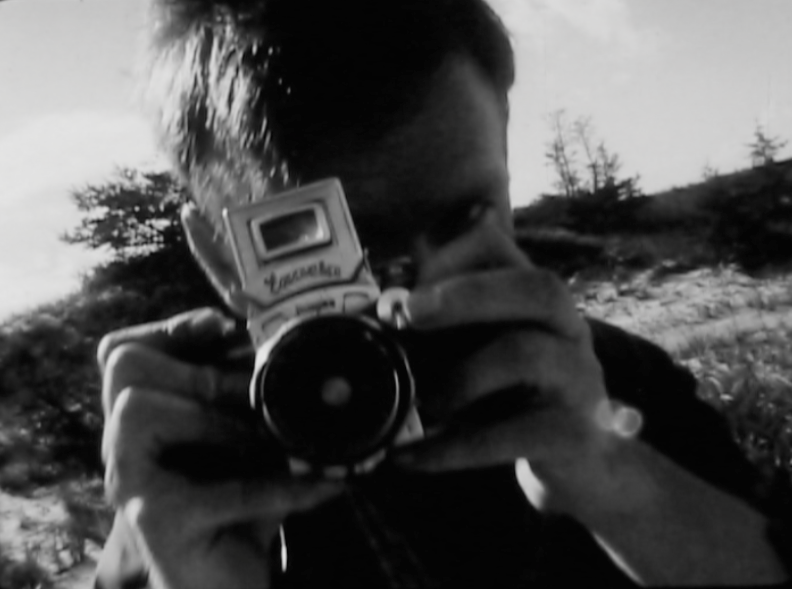 LIFE & FILM 1965, 4.5 min, 16mm, b&w, sound. Made in collaboration with Robert Stiegler and Jeffrey Pasco. A documentary film about Hale House, a Chicago home where Swami Vivekananda lived while a speaker at the 1893 Parliament of Religions at the Columbian Exposition in Chicago. The film lingers on architectural details of the home while a soundtrack of Indian raga sitar music and Vedic chanting fills the air. The film was made by Larry for Swami Bhashyananda, the former head of the Vivekanandra Vedanta Society of Chicago. 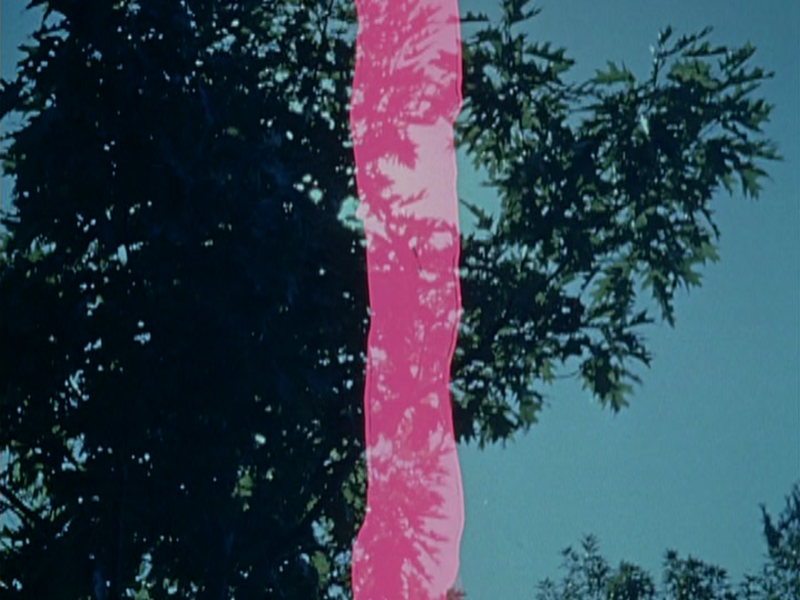 DISINTEGRATION LINE #2 (DL2) 1970, 12 min, 16mm., color, sound. Preserved by Chicago Film Archives with support from the National Film Preservation Foundation.